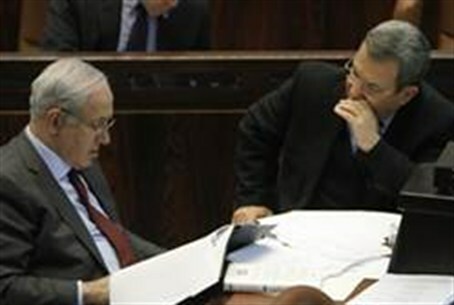 The Prime Minister wants Defense Officials to back off and give the 15 families in Hevron's 'Beit Machpela" time to argue their case. Prime Minister Benjamin Netanyahu has asked Defense Minister Ehud Barak to delay the eviction of the residents of "Beit Machpelah" (House of the Patriarchs) in Hebron. Netanyahu's request specifically asked Barak to give the 15 Jewish families in Beit Machpela the opportunity to make their legal case heard. Last Thursday, some 15 Jewish families from Hebron and the nearby Kiryat Arba settlement moved into the vacant three-story apartment building. The families say they purchased the apartment building from its Arab owner and moved in immediately because the structure was vacant – leading to fears local Arabs would take over the building if they waited. However, Defense Ministry insisted the families do not have the requisite permits and issued an evacuation order earlier Monday, giving the families just 24 hours to leave. The police and IDF Civil Administration were investigating the legality of the sale when defense ministry officials forced the issue claiming the families' presence "disturbs the public order." Lawmakers from Knesset Land of Israel lobby called on Prime Minister Binyamin Netanyahu to revoke the IDF order saying the move was "underhanded" and "unacceptable." "I ask you to instruct the defense establishment to exercise discretion before any future action is taken," Interior Minister Eli Yishai wrote in a letter to Netanyahu. The government, the interior minister added, should strengthen and not make life more difficult for Jewish residents of Hebron. "I ask that you personally review the facts in a fair and balanced fashion." Education Minister Gideon Sa'ar decried that the IDF decision sought to preempt a finding of the facts, "if the house was purchased legally, there is no justification for evacuating the residents." MK Michael Ben Ari said the IDF's excuse could be used to evacuate any Judea and Samaria resident from his or her home at any time.